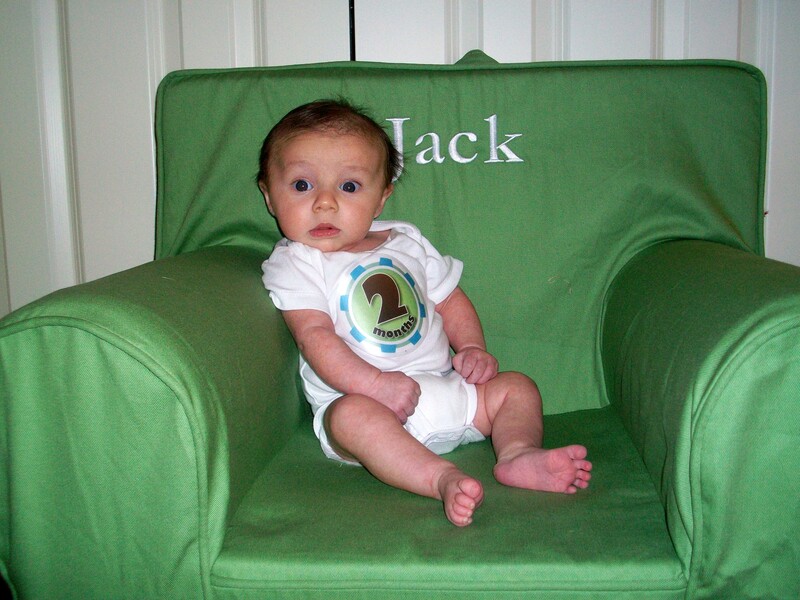 First off, the pediatrician recommended that we start trying to transition Jack to the crib. We decided to wait until the weekend so that we could sleep “late” if it took a while to get him down. Well… Friday night we put him down around 9:30 and then kept having to go in and sit next to the crib every few minutes until he finally fell asleep around midnight. Same story Saturday night. Tonight he’s been asleep for the past 3o minutes so let’s keep our fingers crossed!! Anyway, Chloe couldn’t be happier because now that Jack’s out of our room, she’s back in bed with us. He’s definitely sitting up better. Such a sweet little man. On Friday night I decided to try recipe #3 from the Rachael Ray Big Orange Cookbook: Popeye Risotto with Beefy Balsamic Mushrooms (Why does she have to pick the dumbest names???? 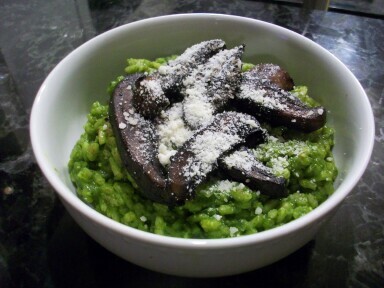 Just call it spinach risotto with sauteed mushrooms. I mean, really?). It’s basically a standard risotto mixed with a “pesto” made from spinach, pine nuts, olive oil and parmesan. Then you saute sliced portabella mushrooms with garlic and deglaze the pan with balsamic vinegar. The risotto is topped with the mushrooms and more parm. Risotto is probably my favorite dish to make. All of the stirring is kind of meditative and relaxing… but you’re pretty much tied to the stove for a good 30 minutes, so make sure someone is there to entertain your 2 month old My only problem with this recipe is that it uses too damn many dishes. Food processor for the pesto (and we all know what a pain THAT is to clean), saucepan for the warmed broth, skillet for the risotto, another skillet for the mushrooms. Not the easiest clean up. But it tasted great and we have lots of leftovers. I think Mrs. Ray sadly underestimates the amount of time it takes to cook the risotto- probably to keep it within the 30 minute time frame. The whole process took me an hour. I like the incorporation of spinach. It kind of reminded me of a fancy version of that classic broccoli-rice-cheese casserole. 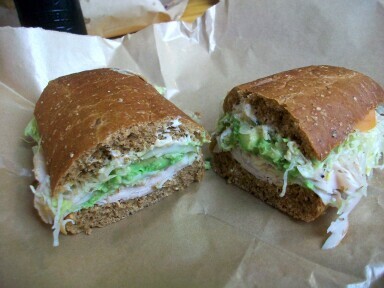 Saturday’s meals were a turkey sandwich from Great Outdoors and the Gringo Enchiladas from Mariano’s. 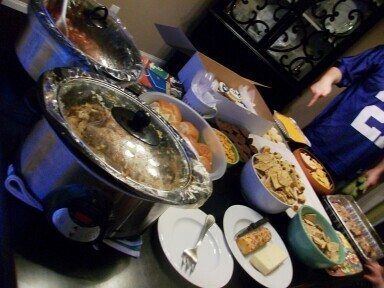 Tonight we had our annual Superbowl party. I really couldn’t give a flip about football, but I love having everyone over to our tiny house!! Seriously, we had 24 people crammed in our little living room at one point. Luckily our friends are awesome and don’t mind snuggling. It was ridiculous. Pulled pork sliders, Little Smokies, pigs in a blanket, Society Bakery cupcakes (Colts only- apparently they were out of Saints), lots of cheese, buffalo chicken dip, bacon-wrapped water chestnuts, ravioli, queso, sausage, veggies, cinnamon pastries, crab dip… I’m sure I’m forgetting stuff. Everyone reading this is officially invited over for leftovers. Our fridge is stuffed. 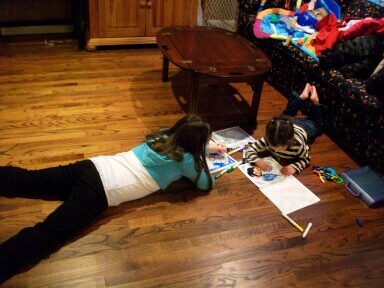 The kiddos were perfect. 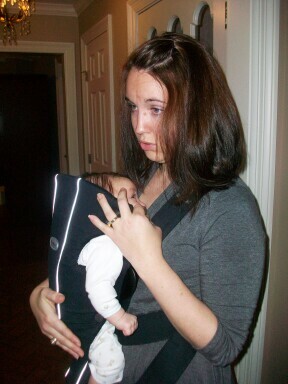 Well, Jack was a little fussy- Julie gave me a break and wore him around for a while. Hope everyone had a great weekend. I’m going to let Brian clean the kitchen now… kidding, kidding. Maybe. 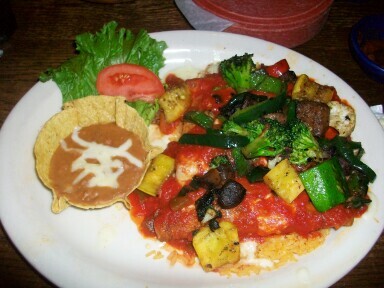 This entry was posted in February 2010 and tagged Jack, Restaurants. Bookmark the permalink. 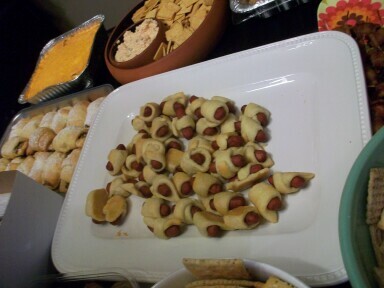 Pigs in a blanket are one of my favorites. I can’t have one. Once I start, I can’t stop. Such a big boy, look at that smile! I get so annoyed at her recipe names too!! It fits her (tv?) personality, but I’m annoyed by that too. Good thing she can cook good food! 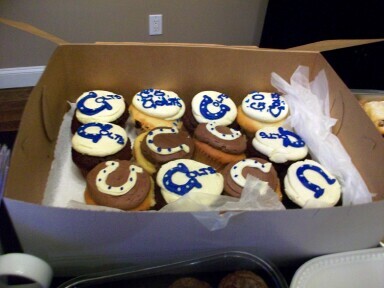 ooo your superbowl looked soo fun and delicious! Looks like Julie is ready for another one!! I love that chair. So cute. 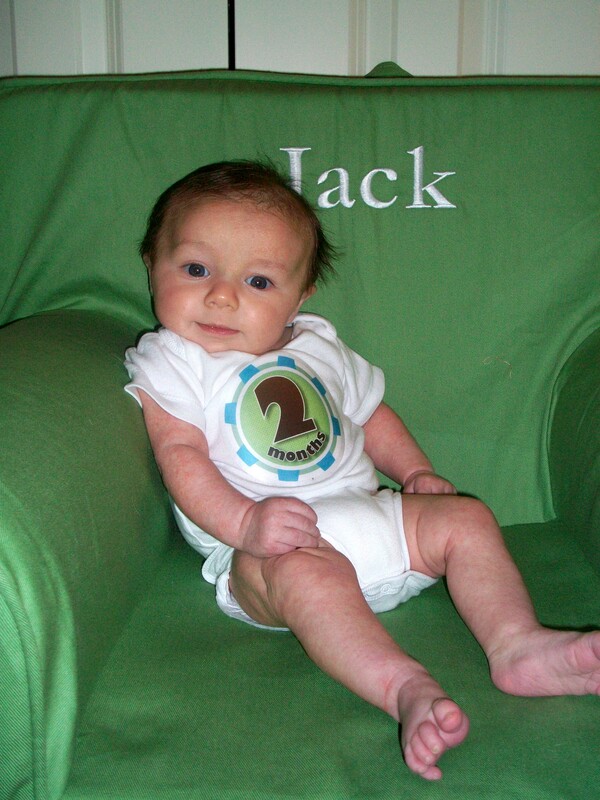 Jack is really growing up – you can see his transformation from month 1 to 2! 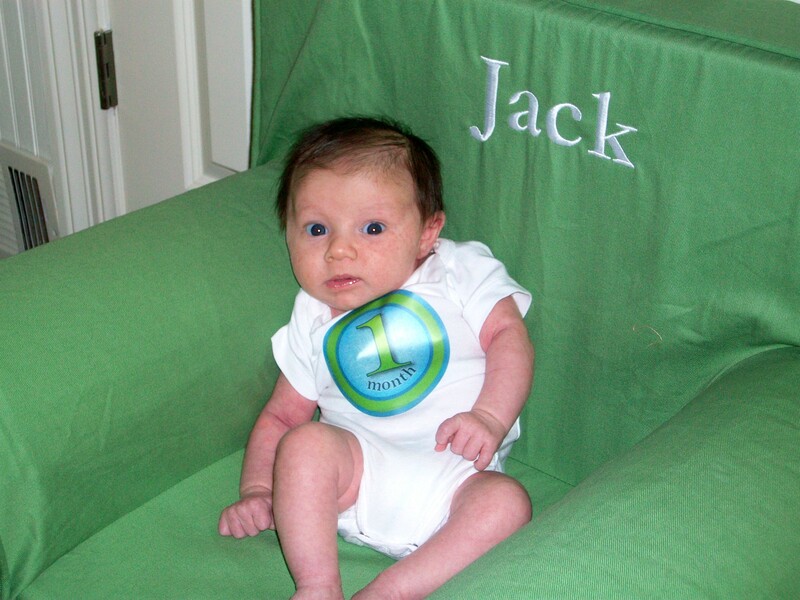 The Super Bowl food looked delicious, and I am tempted to come and raid your frig, but even more important than that is precious baby boy Jack. He is so cute, and I am so jealous of Gia. I could look at his little pics for hours. I know you and Brian are loving the addition to the family and are wonderful parents.